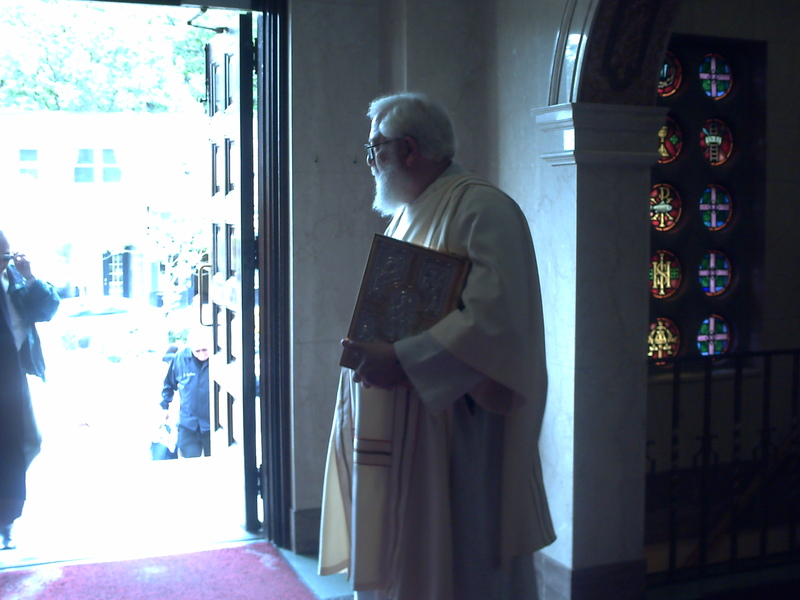 TORONTO (CCN) — One of the oldest and longest serving priests in Canada, Msgr. Vincent Foy, died March 13 in his 78th year of priesthood at the age of 101. A priest for the Archdiocese of Toronto, Msgr. Foy was proud of his longevity, his loyalty, and his defence of Catholic teaching, writing last December about being “perched on the precipice of eternity” as he recounted his long career. Msgr. Foy is the longest ordained and the oldest diocesan priest in the history of the Archdiocese of Toronto and the longest ordained English-speaking diocesan priest in the history of the Church in Canada. He learned of only one other French-speaking diocesan priest in Canadian history who had served longer: Father Roger Duval of Quebec City, who served 78.5 years. In his worldwide research, he found only four priests – two of them still alive – who had spent more than 78 years in diocesan priestly ministry. Msgr. Foy served as a Eucharistic minister at two papal funerals, those of Pope Paul VI in 1978 and Pope John Paul I later that same year. He also served at the first Mass of Pope John Paul II. Msgr. Foy was ordained by Cardinal James McGuigan June 3, 1939 fulfilling a promise he had made as a seven-year-old boy. With his mother close to death in 1922, young Foy promised God that if she survived he would do all he could to become a priest. She lived. After graduating from St. Augustine’s Seminary in Toronto in 1939, he was sent to study canon law at Laval University in Quebec. Armed with a doctorate in canon law, he was immediately useful to the archdiocese as vice chancellor and secretary to the Toronto Archdiocesan Matrimonial Tribunal. When the tribunal became the Toronto Regional Marriage Tribunal he became defender of the bond and judge. In 1957, at the age of 42, Pope Pius XII named Msgr. Foy a Prelate of Honour, earning him the title of Monsignor. When Cardinal Paul-Emile Leger convoked the first meeting of the Canadian Canon Law Society in 1965, Msgr. Foy was among the founders. But Msgr. Foy’s long priestly career was not confined to canon law. For years he was part-time director of catechetics for the archdiocese. In 1966 he became pastor of the parish he was born in, St. John’s in Toronto’s Beach neighbourhood. In the 1970s he was pastor first of Holy Martyrs of Japan in Bradford and then of St. Patrick’s in Phelpston. He retired in 1979, but in 38 years of retirement Msgr. Foy was never idle. His dedication to the pro-life movement was constant and he campaigned furiously against the 1968 Winnipeg Statement, in which the Canadian Conference of Catholic Bishops had urged Catholics to read Humanae Vitae carefully and make their decisions about contraception according to their conscience. His insistent and unrelenting pro-life preaching and writing saw Msgr. Foy named EWTN’s Pro-Life Man of the Year, inspiring a 30-minute network documentary on his life. After celebrating the 75th anniversary of his ordination in 2014, Msgr. Foy recalled the significance of his rosary in his life. This article was updated Sept. 5, 2018.